CLEVELAND, OH (WOIO) - The third annual Cleveland Rocks New Year's Eve will be held inside the Cleveland Public Auditorium on Dec. 31. Drew Carey returns as the host of the event. Cleveland native and Price is Right host, Carey helped ring in the new year with Cleveland in 2013. "After participating in Cleveland Rocks NYE two years ago, I could not wait to get back here and ring in the New Year with my fellow Clevelanders again," said Carey. "We are going to ROCK public hall, and I'm so excited to also properly introduce international superstar Ruby Rose to my hometown." 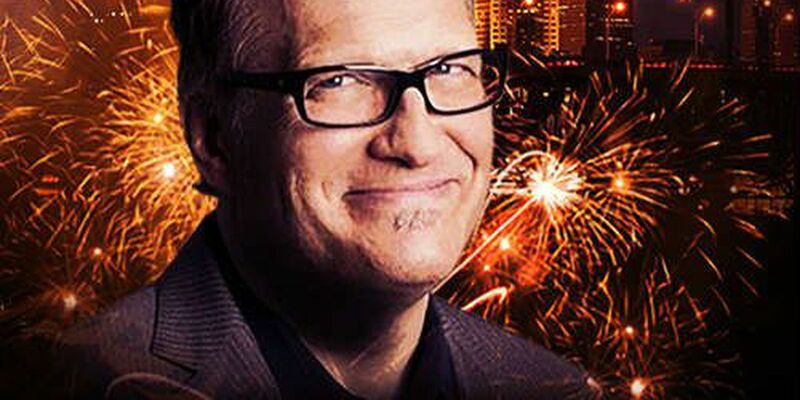 "We are beyond thrilled to have Drew Carey coming back to help Cleveland celebrate New Years Eve downtown," said Alonzo Mitchell III, event founder. Ruby Rose is an Australian model, DJ, recording artist, actress and TV presenter. One of her most notable roles is playing Stella Carlin in Orange is the New Black. She also co-hosted this year's MTV Europe Awards with Ed Sheeran. Other musical guests include EDM sensations Duelle, Akron-based soul singer Wesley Bright, as well as Cleveland Heights' viral teen, Malcupnext, who will perform the National Anthem and the hit single "This Feeling." For the third year, the event will be broadcast live on Cleveland 19 News from 10 p.m. to 12:30 a.m.